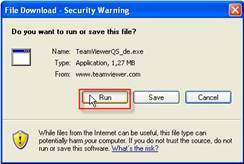 With Team-Viewer you can remotely control any PC anywhere on the Internet. No installation is required on client side, just run the application directly from a Website. Connection is possible even through tight firewalls. Main features: remote control, file transfer, presentation, record session. 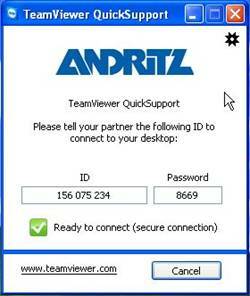 Start the Master TeamViewer; Type in the Client ID from your customer on the right side and choose Remote support. 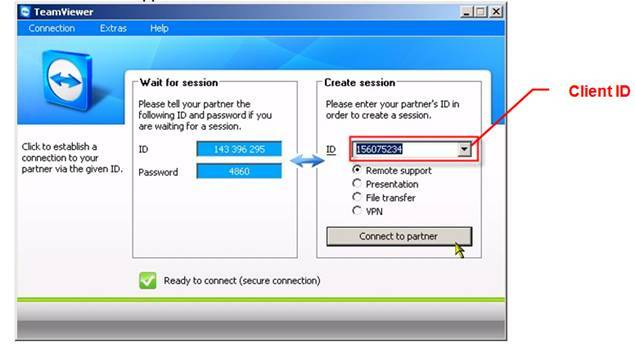 After a successful remote connection you have some additionally possibilities. All options are collected on top of window in a toolbar. After a successful remote connection client gets a small status window on the bottom right corner. This Windows indicates the user an active connection; on top of that there are just some minor functions. If you have any problems or service requests to not hesitate to contact us.